After a couple of days of intermittent rain and fog on our inaugural tour, the skies cleared up. 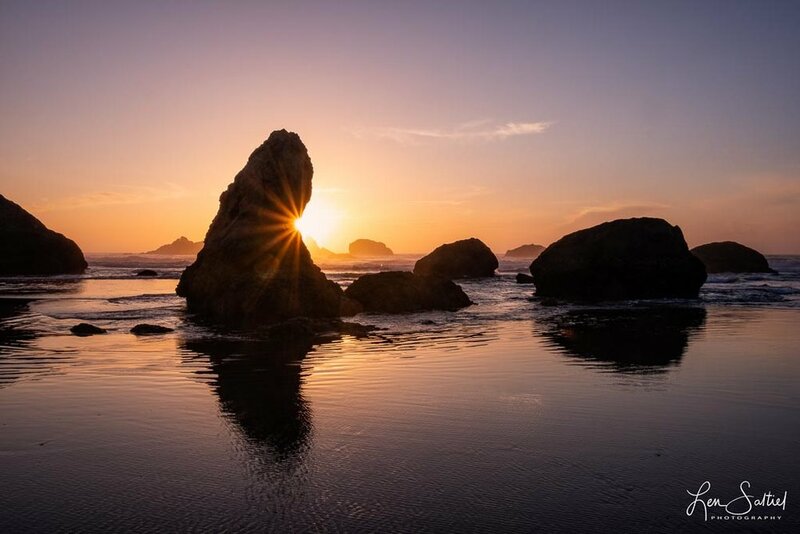 There is no better place for that to happen than on Bandon Beach. I have often described Bandon Beach as “seasick heaven”. There you can walk almost a mile to the south jetty and feast your eyes on some of the most amazing sea stacks on the whole Oregon Coast. Many of the stacks have unique names while others are unnamed. I decided that I would pick one of the unnamed stacks for my sunset shot and close down the lens to get a sunburst.